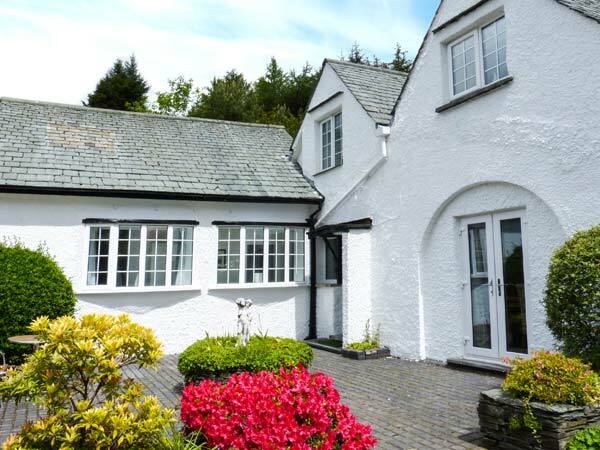 The Nook is a lovely, link-attached cottage in a charming cul-de-sac on the outskirts of Bowness-on-Windermere. 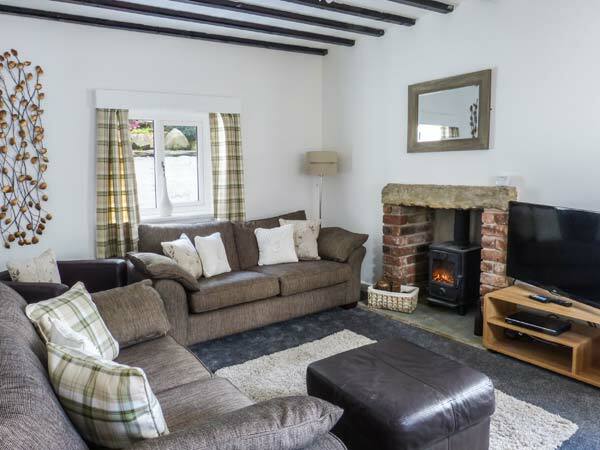 The cottage is set mostly on the ground floor, with a king-size double bedroom with an en-suite the only room upstairs. Downstairs, there are two further bedrooms, a king-size double and a room with zip/link bed, providing the option of being made up as a king-size double or twin beds. There is a kitchen and a sitting room with a dining area and double doors leading into the courtyard, where you can sit and enjoy breakfast in the summer. From the courtyard, a flight of steps lead up to a decked garden with beautiful views, more outdoor furniture and a barbecue. There is also off road parking for up to five cars. With lots to see and do nearby, and many activities to enjoy in a small drive, The Nook is a wonderful holiday base for both friends and families. Mostly ground floor. Three bedrooms: 1 x first floor king-size double with en-suite shower, basin and WC, 1 x king-size double 1 x Twin (zip/link, can be double on request). Bathroom with bath, shower over, basin and WC. Kitchen with dining area. Sitting room with dining area and woodburning stove. Gas central heating with woodburning stove. Electric oven, ceramic hob, microwave, fridge/freezer, washing machine, dishwasher, TV with Freeview, WiFi. Fuel, power and starter pack for stove inc. in rent. Bed linen and towels inc. in rent. Travel cot and highchair. Off road parking for 5 cars. Elevated garden with decking and garden furniture. Courtyard with furniture. Sorry, no pets and no smoking. Shop 1 mile, pub 10 mins walk. Note: One step to front and back door. Note: 12 steps up to decking in garden, though courtyard is at ground level.